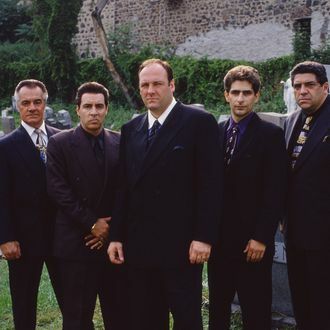 David Chase has taken some heat over the years for what some perceive to be an unsatisfactory ending to The Sopranos, though the show is hardly the only series to have a puzzling, perhaps disappointing finale. Now he’s come up with a perfect solution to end the years-long kibitz of how his show ought to have ended: “It’s just very difficult to end a series,” he tells the New York Times. “For example, Seinfeld, they ended it with them all going to jail. Now that’s the ending we should have had. And they should have had ours, where it blacked out in a diner.” Truer words, etc. etc., David Chase!